What is compensatory fee and will penalties for the not purchasing of e-vignette be suspended after implementation of the new compensatory fee? No, implementation of compensatory fee does not repeal the penalties. 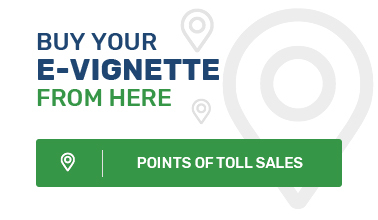 All drivers, owners or users of vehicles who use the paid road network without having paid the respective fee and who have not paid charge for the use of the national payed road network (e-vignette or toll) are infringers and are subject to fine. In the case of infringement an act for determination of administrative infringement is drawn up on which base a penalty order is drawn up to impose a penalty. If the infringer pays for the compensatory charge immediately after determination of the infringement or within 14 days after drawing up of the act for determination of administrative infringement, then he will be exempt of administrative-criminal liability and will not be subject to penalty which is of higher amount.